The cruise-ship had anchored and the passengers were strolling along Hamilton’s Front Street. Many had invaded the shops and were happy with their purchases. “I bought a splendid Irish sweater,” said a plump American lady who, coming out of Triminghams, was about to collide with me. She held three bags, inflated like balloons. The indigenous policeman facilitated the traffic on the crossroad. He stood in the Bird Cage, surrounded at a distance by the tourists who were photographing him. The cage was the trademark of the island and everything in the atmosphere gave the sensation that Bermuda is a mix of Caribbean flair with a splash of British formality. I left behind me the clamor and ascended Queen Street, where I had parked my car. The clouds gathered dangerously. The first drops began to fall, and in a few minutes the storm would break. Ah, yes, the weather doesn’t joke around here. The dark-skinned inhabitants rushed to find shelter, although they were accustomed to these sudden changes in the weather. Quickly Ι had to get home – a house built on the rocks overlooking the vast ocean. I thought of Τhe Tempest by Shakespeare. The Poet would surely have heard strange stories at that time to inspire his work. The legends of that distant era would have taken unexpected dimensions. In the 16th-century, during the reign of Elizabeth I, my beloved Bermuda had the reputation of being a haunted island. The reason was simple. Ships, whose initial course was to reach the shores of America, would get lost in the torment of the storm and stumble onto its infernal coral reefs. Four centuries later those very same reefs would be advertised as a tourist attraction. Similar awe would be felt by the Spanish explorer Juan de Bermudez, who fled the islands in 1503, when he realized that the land he saw before him were the islands of the Devil. All he left behind was his name. As I drove, I observed the alternation of the serene landscape. A narrow road led along Harrington Sound, where the foliage of the trees reached the quiet inlets and in front of the terrace of the houses, small sailboats were moored. I remember before landing here, I was looking at the sea from the window of the airplane. Its colour in part emerald, elsewhere blue or turquoise and still further along a gray-blue. The colouration of the water was repeated in different shapes as it embraced the green earth. This land, though, was not a unified land. There were tiny islands with dense vegetation, tiny bays, where sail boats were moored here and there. Mounds with many trees, among which emerged whitewashed rooftops with pink walls and lacy beaches, where the sand was also pink. 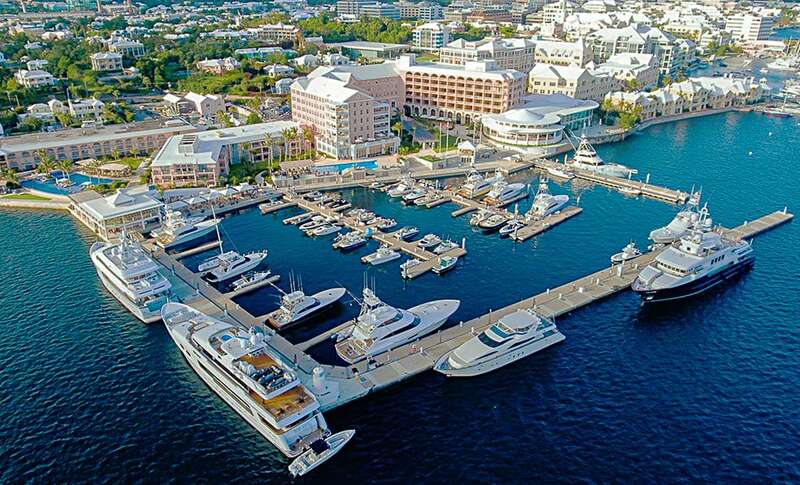 Bermuda is justifiably proud of the idyllic first impression it offers newcomers. But most passengers on board didn’t pay attention to the view. They were all Americans and the only thing that interested them was the weather. Praying that it wouldn’t rain that weekend so that they could play golf. Seven golf courses are a great number fort this fish-shaped island, whose total length reaches just fifteen miles, and maximum width just two and a half. It is true that I was observing the weather too, but not with the eye of a golfer, but the eye of a traveller. “The island is strange,” I thought, as I descended the little road to get to the villa we had rented at Tucker's Point. “It never snows, and never is cold. Although it is located in the North Atlantic, palm trees grow as if in the tropics.” In a few minutes I was standing behind the large windows of the living-room and, fascinated, I stared out at the steep rocks in front of me as the storm broke over the great ocean. *Note: My sojourn to Bermuda dates back to the beginning of the ’80s. I am sorry to learn that Triminghams, established in 1842, where the best items of the British Isles could be purchased, closed in 2006. The family home is now the headquarters of the Bermuda National Trust.